Cynthia is the mom of the office. She is always there with a hug if we need one, and is the go-to person if anyone ever has a question. She has been with Dr. Core for almost 17 years, and when asked how long she has been in dentistry, she replied with a resounding "no comment!". 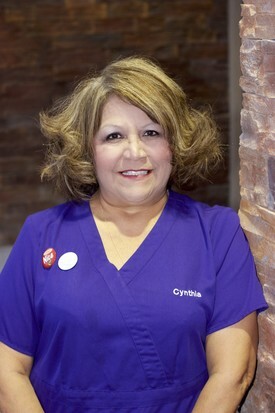 Cynthia is our denture specialist. We don't know how she pulls off what she does when it comes to fixing and adjusting dentures, but she never disappoints. Cynthia is obsessed with stamping and card-making. Everyone here looks forward to their birthday just to see what genius cards Cynthia has come up with next. When she isn't making cards, you'll probably find her belting out a karaoke song, or the dance floor, or spending time with her amazing grandchildren. "The reason I have stayed with Dr. Core so long is because of the consideration and kindness that he shows toward all people, not just our patients. It is uncommon to find such a good-hearted person these days." Maria was a breath of fresh air when she started here a couple of years ago. We were in a transition period, losing a long time assistant to motherhood, and needed someone to fill her shoes. Maria has surpassed every expectation since she has been with us, and has been a delight since day one. She works closely with Dr. Core to ensure that we have everything we need in the office so that we can function as efficiently as possible for you. Maria loves spending time with her lovely children Aimee, Jennifer, Alex and Megan. When she doesn't have her hands full with her children, you'll either find her out in her garden, or at the nearest shopping mall. "Most dentists that I have worked for have hardly interacted with the staff when we aren't with patients, but Dr. Core is different. He loves joking around with us, and attending events with us outside the office. It shows that he really cares about his team." Nancy is originally from Upstate NY, so her first summer here was definitely a shock. The other 15 have gotten a little easier, but not much. Nancy has been with Dr. Core for 10 years, and has been an integral part of the team since day one. 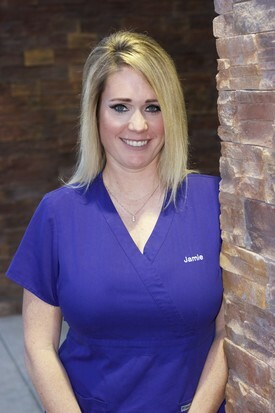 As one of our hygienists, she gets to spend the most time with you while you are here in the office. She works closely with our patients to ensure we catch any issues early enough to treat them as conservatively as possible. At home, you'll almost always find her in the pool with her husband Tom, and her dog, Chewie, or reading the latest New York Times bestseller. A little known fact is that Jeremy is not only our Office Manager, but Nancy's son as well. "I have been in dentistry for many years, but Dr. Core is, hands down, the best employer, or dentist I have ever worked for. He is funny, fair, and very intelligent. I love coming to work every day." Jamie is also a transplant from the Midwest. She moved to the Valley from Cleveland a little over 9 years ago. She, too, has been with us for about 2 years, but has been in dentistry for the last 13 years. 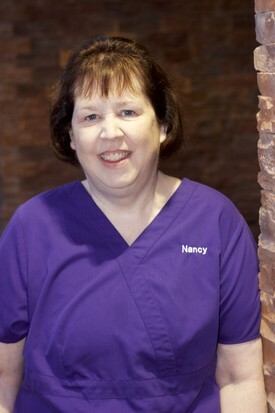 Just as Nancy does, Jamie works closely with our patients and Dr. core to catch periodontal disease at the infancy stages so that we can treat it as quickly and as early as we can. Jamie also loves to spend time with her family when she isn't at work. Her adorable daughter Gia is her main focus, and she also enjoys travel, cooking, and hiking all of the great trails that Arizona has to offer. But don't speak ill of the Browns, the Indians, or the Ohio St. Buckeyes because she is a huge sports fan as well! "Dr. Core takes time with each and every patient, and delivers optimal dental care. I am proud to say that I finally landed at the office I always wanted to work for."